Ab'ul Hasan Yamīn ud-Dīn Khusrau (1253–1325 CE) (Urdu: ابوالحسن یمین‌الدین خسرو‎), better known as Amīr Khusrow, was a Sufi musician, poet and scholar. He was an iconic figure in the cultural history of the Indian subcontinent. He was a mystic and a spiritual disciple of Nizamuddin Auliya of Delhi. Amīr Khusrau is reputed to have invented certain musical instruments like the sitar and tabla. He wrote poetry primarily in Persian, but also in Hindavi. A vocabulary in verse, the Ḳhāliq Bārī, containing Arabic, Persian, and Hindavi terms is often attributed to him. He is regarded as the "father of Qawwali" (a devotional music form of the Sufis in the Indian subcontinent), and introduced the ghazal style of song into India, both of which still exist widely in India and Pakistan. He is also credited with introducing Persian, Arabic and Turkish elements into Indian classical music and was the originator of the khayal and tarana styles of music. 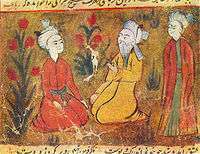 Khusrau was an expert in many styles of Persian poetry which were developed in medieval Persia, from Khāqānī's qasidas to Nizami's khamsa. He used 11 metrical schemes with 35 distinct divisions. He has written in many verse forms including ghazal, masnavi, qata, rubai, do-baiti and tarkib-band. His contribution to the development of the g͟hazal, is significant. Amīr Khusrou was born in Patiyali in Etah, Uttar Pradesh. His father, Amīr Saif-ud-Dīn Mahmūd, was a Turkic officer and a member of the Lachin tribe of Transoxania,Central Asia, themselves belonging to the Kara-Khitais. At the invasion of Genghis Khan, Saifuddin migrated from his hometown Kesh, near Samarkand, to Balkh. Saifuddin was then the chieftain of the Hazara. Shamsuddin Iltutmish, the Sultan of Delhi, welcomed them to Delhi. He provided shelter to the exiled princes, artisans, scholars and rich nobles. In 1230, he was granted a fief in the district of Patiyali. Amir Saifuddin married Bibi Daulatnaz, who was the daughter of Rawat Arz, the famous war minister of Balban, and belonged to the Rajput tribes of Uttar Pradesh. They had four children, three sons and a daughter. Amir Khusro was one among them born in the year 1252-53 CE in Patiyali. His father Saifuddin died in 1260 CE. Khusrau was an intelligent child. He started learning and writing poetry at the age of eight. After the death of his father, he came to Delhi to his maternal grandfather Imadul Mulk's house. In 1271 CE, when Khusrau was 20 years old, his grandfather who was 113 years old died. His mother brought him up after his death. Amir Khusrau is called the "Parrot of India"
After Khusrau's grandfather's demise, he joined as a soldier in the Army of Malik Chajju, a nephew of Sultan Balban. This brought his poetry to the attention of the Assembly of the Royal Court where he was honored. When he was forty seven years old, his mother and brother died. In one short week through this ill-luck of mine. Where ever the dust of your (mother) feet is found it is like a relic of Paradise for me. Bughra Khan, son of Balban was invited to listen to Amir Khusrau. He was impressed and became Khusrau's patron. In 677 A.H/1277 A.D. Bughra Khan was then appointed ruler of Bengal but Amir Khusrau decided to return to Delhi. I tied the belt of service on my waist and put on the cap of companionship for another five years. I imparted lustre to the water of Multan from the ocean of my wits and pleasantries. In the year 683 A.H./1283 A.D Jinar Khan a Mongol, invaded India. Khan Muhammad was killed in battle. 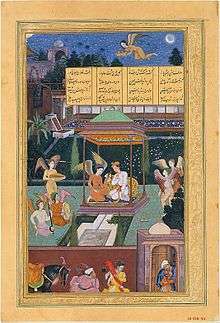 Khusrau wrote the two elegies in grief of his death. At the old age of eighty, Sultan Balban called his second son Bughra Khan from Bengal, but he refused to come back to Delhi. After King Balban's death his grandson Kaikubad was made the ruler of Delhi at the age of 17. 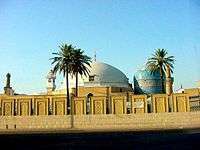 Khusrau remained in his service for two years (686 A.H to 687 A.H/1286 to 1287 A.D.). The King of the world Jalaluddin, in reward for my infinite pain which I undertook in composing verses, bestowed upon me an unimaginable treasure of wealth. After Jalaluddin, Alauddin Khilji ascended to the throne of Delhi on 22nd Zilhaj 695 A.H/1295 A.D., Amir Khusrau wrote the "Khaza'in ul-Futuh" (The treasures of victory) recording Alauddin's construction works, wars, administrative services. Then he composed a quintet (khamsa) with five masnavis. The first was "Matla-ul-Anwar" (Rising place of lights) consisting of 3310 verses (completed in 15 days) with ethical and Sufi themes. The second masnavi, "Khusrau and Shirin" consisted of 4000 verses. 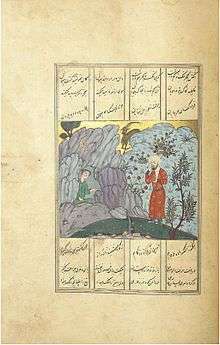 The third masnavi "Laila Majnun" was a romance. The fourth voluminous masnavi was "Aina-e-Sikandari" in 4500 verses narrating the heroic deeds of Alexander the Great. The fifth masnavi was "Hasht Bihisht" related to the events of King Bahram Gur. All these works made Amir Khusrau a leading luminary in the world of poetry. Alauddin Khilji was highly pleased by his works and rewarded him handsomely. After Alauddin Khilji's death, his son Qutubuddin Mubarak Shah became the king. Amir Khusrau wrote a masnavi on Mubarak Shah as "Nuh Sipihr" (Nine Skies), relating the events of Mubarak Shah's reign. He classified his poetry in nine chapters, each part is considered as a sky. In the third chapter he wrote a vivid account of India and its environment, seasons, flora and fauna, cultures, scholars, etc. He wrote another book in the period of Qutubuddin Mubarak Shah by name "Ijaz-e Khusravi" consisting of five volumes. When Qutubuddin Mubarak Shah son was born, he prepared the horoscope of child where certain predictions, were made. This horoscope is included in the masnavi "Saqiana". After Mubarak Shah, Ghiyath al-Din Tughluq came to the throne. Amir Khusrau wrote a historic masnavi "Tughlaq Nama" about his reign and that of other Tughlaq rulers. Khusrow died in October, 1325, six months after the death of Hazrat Nizamuddin Auliya. 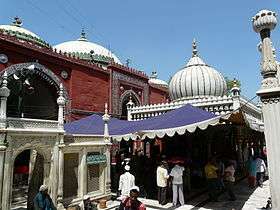 Khusrau's tomb is next to that of his spiritual master in the Nizamuddin Dargah of Delhi. Khusrau was born in Patiyali in Kasganj district which is also known as Kansiram Nagar near Etah in what is today the state of Uttar Pradesh in northern India. His father Amir Saifuddin came from Balkh in modern-day Afghanistan and his mother hailed from Delhi. 1260 After the death of his father, Khusrau went to Delhi with his mother. 1271 Khusrau compiled his first divan of poetry, "Tuhfat-us-Sighr". 1272 Khusrau got his first job as court poet with King Balban's nephew Malik Chhajju. 1276 Khusrau started working as a poet with Bughra Khan (Balban's son). 1279 While writing his second divan, Wastul-Hayat, Khusrau visited Bengal. 1281 Employed by Sultan Mohammad (Balban's second son) and went to Multan with him. 1285 Khusrau participated as a soldier in the war against the invading Mongols. He was taken prisoner, but escaped. 1287 Khusrau went to Awadh with Amir Ali Hatim (another patron). 1288 His first masnavi, "Qiran-us-Sa'dain" was completed. 1290 When Jalal ud din Firuz Khilji came to power, Khusro's second mathnavi, "Miftahul Futooh" was ready. 1294 His third divan "Ghurratul-Kamal" was complete. 1295 Alauddin Khilji (sometimes spelled "Khalji") came to power and invaded Devagiri and Gujarat. 1298 Khusrow completed his "Khamsa". 1301 Khilji attacked Ranthambhor, Chittor, Malwa and other places, and Khusrau remained with the king in order to write chronicles. 1310 Khusrau became close to Nizamuddin Auliya, and completed Khazain-ul-Futuh. 1315 Alauddin Khilji died. Khusrau completed the romantic masnavi "Duval Rani-Khizr Khan". 1316 Qutb ud din Mubarak Shah became the king, and the fourth historical mathnavi "Nuh Sipihr" was completed. 1321 Mubarak Khilji (sometimes spelled "Mubarak Khalji") was murdered and Ghiyath al-Din Tughluq came to power. Khusrau started to write the Tughluqnama. 1325 Sultan Muhammad bin Tughluq came to power. Nizamuddin Auliya died, and six months later so did Khusrau. Khusrau's tomb is next to that of his master in the Nizamuddin Dargah of Delhi. An illustrated manuscript of one of Amir Khusrau's poems. Khusrau was a prolific classical poet associated with the royal courts of more than seven rulers of the Delhi Sultanate. Khusrau wrote many playful riddles, songs and legends which have become a part of popular culture in South Asia. His riddles are one of the most popular forms of Hindavi poetry today. It is a genre that involves double entendre or wordplay. Innumerable riddles by the poet have been passed through oral tradition over the last seven centuries. Through his literary output, Khusrau represents one of the first (recorded) Indian personages with a true multicultural or pluralistic identity. Amir Khusrau was the author of a Khamsa which emulated that of the earlier poet of Persian epics Nizami Ganjavi. His work was considered to be one of the great classics of Persian poetry during later centuries. He wrote primarily in Persian. Many Hindustani (Hindi/Urdu) verses are attributed to him, although there is no evidence for their composition by Khusrow before 18th century. The language of the Hindustani verses appear to be relatively modern. He also wrote a war ballad in Punjabi. In addition, he spoke Arabic and Sanskrit. His poetry is still sung today at Sufi shrines throughout Pakistan and India. Khusrau is credited for the invention of the musical instruments tabla. The term tabla is derived from an Arabic word, tabl, which means "drum". The development of the Tabla originated from the need to have a drum that could be played from the top in the sitting position to enable more complex rhythm structure's that were required for the new Indian Sufi vocal style of singing/chanting and Zikr. At the same time to complement the complex early Sitar melodies that Khusrau was composing. The Tabla uses a "complex finger tip and hand percussive" technique played from the top, unlike the Pakhawaj and mridangam which mainly use the full palm and are sideways in motion and are more limited in terms of sound complexity. Inscribed in the top terrace of the Shalimar Bagh, Srinagar, has the famous inscription in Persian, is sometimes attributed to Khusrau, although is not found in any of his written works. Hamin ast o hamin ast o hamin ast "
This verse is also found on several Mughal structures. "If there is a paradise on earth,It is this, it is this, it is this." Nihayatul-Kamaal (The Zenith of the Perfection) compiled probably a few weeks before his death. Ḳhāliq Bārī a versified glossary of Persian, Arabic, and Hindavi words and phrases often attributed to Amir Khusrau. Ḥāfiz Maḥmūd Shīrānī argued that it was completed in 1622 in Gwalior by Ẓiyā ud-Dīn Ḳhusrau. ↑ Rashid, Omar (23 July 2012). "Chasing Khusro". Chennai, India: The Hindu. Retrieved 5 August 2012. ↑ Latif, Syed Abdulla (1979) . An Outline of the Cultural History of India. Institute of Indo-Middle East Cultural Studies (reprinted by Munshiram Manoharlal Publishers). p. 334. ISBN 81-7069-085-4. ↑ Regula Burckhardt Qureshi, Harold S. Powers. Sufi Music of India. Sound, Context and Meaning in Qawwali. Journal of the American Oriental Society, Vol. 109, No. 4 (Oct. – Dec. 1989), pp. 702–705. doi:10.2307/604123. 1 2 Schimmel, A. "Amīr Ḵosrow Dehlavī". Encyclopaedia Iranica. Eisenbrauns Inc. Retrieved 14 May 2016. ↑ "Амир Хосров Дехлеви", Great Soviet Encyclopedia, Moscow, 1970 Archived 27 September 2007 at the Wayback Machine. 1 2 3 Sharma, Sunil (2005). Amir Khusraw : the poet of Sufis and sultans. Oxford: Oneworld. p. 79. ISBN 1851683623. ↑ Tariq, Rahman. "Punjabi Language during British Rule" (PDF). JPS. 14 (1). ↑ Richard Emmert; Yuki Minegishi (1980). Musical voices of Asia: report of (Asian Traditional Performing Arts 1978). Heibonsha. p. 266. Retrieved 25 December 2012. ↑ Rajan, Anjana (29 April 2011). "Window to Persia". The Hindu. Chennai, India. ↑ "Zubin Mehta's concert mesmerizes Kashmir - The Times of India". The Times Of India. ↑ Shīrānī, Ḥāfiż Mahmūd. "Dībācha-ye duvum [Second Preface]." In Ḥifż ’al-Lisān (a.k.a. Ḳhāliq Bārī), edited by Ḥāfiż Mahmūd Shīrānī. Delhi: Anjumman-e Taraqqi-e Urdū, 1944. R.M. Chopra, "The Rise, Growth And Decline of Indo-Persian Literature", Iran Culture House New Delhi and Iran Society, Kolkata, 2nd Ed. 2013. Sunil Sharma, Amir Khusraw: Poets of Sultans and Sufis. Oxford: Oneworld Press, 2005. Paul Losensky and Sunil Sharma, In the Bazaar of Love: Selected Poetry of Amir Khusrau. New Delhi: Penguin, 2011. The Khaza'inul Futuh (Treasures of Victory) of Hazarat Amir Khusrau of Delhi English Translation by Muhammad Habib (AMU). 1931. Poems of Amir Khusrau The History of India, as Told by Its Own Historians: The Muhammadan Period, by Sir H. M. Elliot. Vol III. 1866-177. page 523-566. Táríkh-i 'Aláí; or, Khazáínu-l Futúh, of Amír Khusrú The History of India, as Told by Its Own Historians: The Muhammadan Period, by Sir H. M. Elliot. Vol III. 1866-177. Page:67-92.